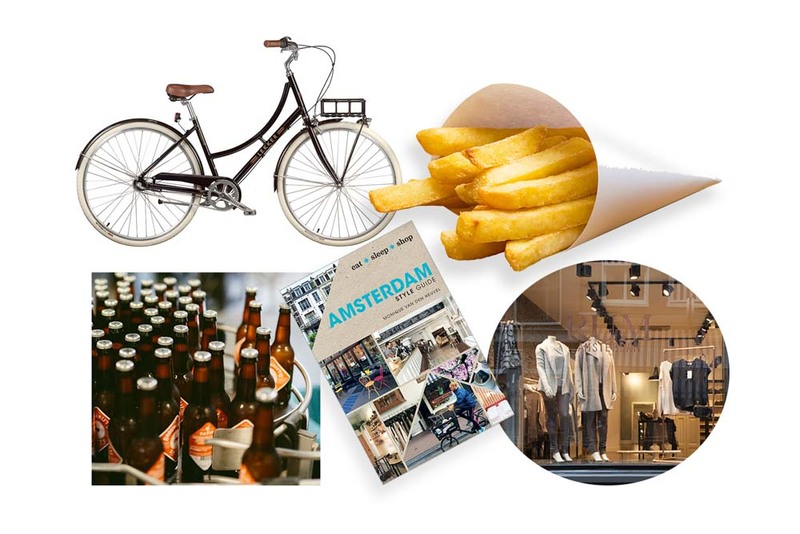 Bikes, dutch fries, and local brews; what else do you need to know about while in Amsterdam? Here are the five things you mustn’t leave Amsterdam without reading, doing, eating, shopping or drinking this year. This uber cool, vintage-look LEKKER bike, above, which is inspired by quality Dutch design, will have you embracing cycling like an Amsterdammer. Sportief Womens Deluxe Edition, $648. Served in a paper cone, Dutch fries are found on just about every corner (more than 40 million kilograms are sold every year!). They’re delicious with a dollop of mayonnaise, or try patatje oorlog: peanut satay, mayo and onions. A change of pace from the big-brand shopping in Kalverstraat, the cute and cosy Nine Streets is a delight to navigate with more than 200 stores of designerwear, art, vintage pieces, gifts and small bars and restaurants. Located on the city’s east side, Brouwerij ’t IJ is a brewery set next to the historic 1725 De Gooyer windmill. It’s a great place to sample some local brews along with a cheese and charcuterie plate, and check out the large windmill that once served as a flour mill.